Mine is a forest of ambiguity. For most of the year I can confidently say that I love the beauty in my forest of towering eucalypts. Under this protective canopy there easily comes a feeling of quiet contemplation, conducive to the evocation of lost memories. They lie in abeyance within the detritus of the forest floor, connected to the fabric of life, recording the changes that take place as time passes. All this happens within the warm and nurturing layer beneath my feet, linking us to the past and the future. This is the wondrous and enigmatic forest that I love. Something changes, becoming more like a sense of foreboding, each year as February approaches. At such times it can feel somewhat selfish and foolhardy to live amongst a dense and dry forest. The leaves flutter to the ground at all times of year, but in the heat of a windy February day they too easily remind me of the flying embers that travel before a fast moving bushfire. This is when the love can become fear. It won’t fully diminish the love, but it is always there beneath the surface, coming to the fore while watching the far-reaching, whirling leaves. 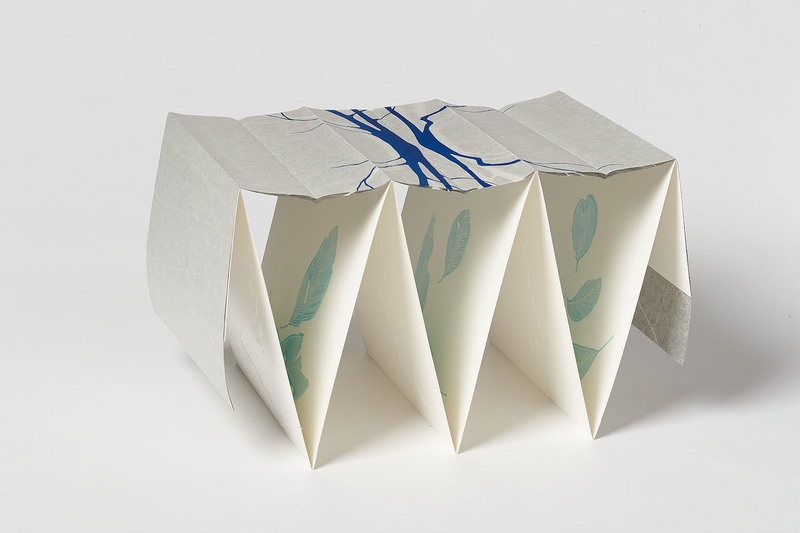 This artist book, featuring the reflected trees in a pond in the Dandenong Ranges of southern Australia, is symbolic of my reflection upon these contradictory emotions, as well as the insights gained from them. Ultimately it is the forest that remains, as does all its inherent beauty, in all its necessary states of being.